In the past 40 days, only wonderful things have happened for me. As captain of the Chilean Davis Cup team, I helped my country reach the World Group stage for the first time since 2011. Soon after that, I began working with Dominic Thiem at the Argentina Open in Buenos Aires. I accompanied him to Rio de Janeiro (for the Rio Open presented by Claro) a week later and now we’re here in the United States. The most incredible thing is that in just our third tournament together, at a time when we’re still getting to know each other, Dominic has won his first ATP Masters 1000 title, and he did it on a hard court at the BNP Paribas Open [d. Roger Federer 3-6, 6-3, 7-5]. One of the reasons why he asked me to join his team in the first place; was because he felt that I could help bring his hard-court game up to speed with his very accomplished clay-court game. What’s most impressive is that Dominic is producing the intended results so quickly. It even surprised me because it’s the first time I’ve been in this situation and under these circumstances as a coach, where I’ve been brought in for a very specific role. Besides being Davis Cup captain, I have a tennis academy in Chile and I manage players’, but I don’t travel with them. So, it’s amazing that after a few weeks of accompanying Dom, we won in Indian Wells. I cannot be any happier; it feels great to help him achieve his goals. And to think, all of this came together just recently. Thiem didn’t compete for Austria in the Davis Cup tie against Chile, but his coach, Gunter Bresnik, reached out to me at one point. I joined Dominic’s team during the Argentina Open soon after. Even though we never actually met prior to working together, I had been following Dominic’s career for a long time and admired his game. I considered him championship material. What I liked most was the sense of family among Team Thiem. Having worked with other teams before, I was delighted by how Dominic’s group had a sense of unity. They opened all doors to me and accommodated me in every way possible, to ensure that I had the tools to get the job done. The first thing I noticed about Dom as a player was that he needed some time to heal. His body was a little worn by the end of last season and it became more noticeable at the start of this year. By the time we got to Buenos Aires, Dom was just getting out of recovery mode and needed to build his strength, both physically and mentally. His loss earlier on in Rio (l. to Laslo Dere 6-3, 6-3) was a good thing, as it gave us time to get to Indian Wells early and continue the rebuilding process. It was then that I recommended fitness therapy coach Duglas Cordero to work with our team. Duglas is an experienced physical trainer; he’s worked with Fabio Fognini and I spent time with him during my professional career. This allowed Dom’s physiotherapist, Alex Stober, to handle one set of roles and for Duglas to take on another and guarantee we got our player as fit as possible. I continued my part in developing his game for the hard courts. I feel that between the three of us, we made an immediate impact. As Thiem put it, he started looking at his game in a different way and because of very precise planning, an intense drive and strong work ethic — all at a very high level — the results showed quickly. Add to that the passion and positive energy we bring, and you can see why his game has grown in such a short amount of time. The BNP Paribas Open was the perfect place for Thiem to demonstrate how far he had come in such a short space of time. Throughout the tournament, I contributed by instructing him to make small adjustments, minor tweaks that would make a lot of difference on Indian Wells’ hard courts. I was surprised by how quickly he picked up on things; he has an incredible ability to learn something and immediately apply it during a match. He’s an amazing talent and extremely disciplined. Ask Dom to do something and he’ll do it — just better. It’s a privilege as a coach to work with a player of that calibre. We discussed a lot of things as he progressed through the tournament. We approached each match with its own game plan. I explained to him that in addition to improving his overall game, he needed to work on his return of serve. I felt he needed to step closer to the baseline, even inside of it, more often. If you look back at replays of his matches, you’ll notice as the deeper he got into the tournament, the closer he got to the baseline while returning serves. In addition to his return game, Dom and I spent a lot of time talking about what types of shots to use and when to execute them. When to hit high, looping balls; when to go with the slice; when to use topspin or to surprise with a drop shot. We took a close look at all his weapons and broke down when they would be most effective. If you look back at the most critical points throughout the tournament, you’ll notice those are when Dom played at his best. It goes to show he’s got a champion’s mentality. It’s those little alterations that make a huge difference to a player like Dom. Even so, I’m still surprised at what a spectacular talent he is. Dom’s back to a career-high No. 4 (which he first attained on 13 November 2017) and feeling at an all-time high. That makes my life much easier as a coach. I feel a close connection with Dominic’s game and I’m able to identify key areas of it every day. I see a lot in his game that resembles my own game and the way I played when I was on tour. He’s got fluid footwork; he’s always moving into position and maneuvering the ball around the court to line up his best shots. We’ve got different personalities, of course. After all, he’s Austrian and I’m Chilean. But maybe that’s why we complement each other. It’s still hard to believe that a little over a month ago, we didn’t even know one another personally. Since then, we’ve bonded as a team. I don’t change my ways for anyone and in this case, that isn’t even an afterthought. I’m working with an incredible talent. 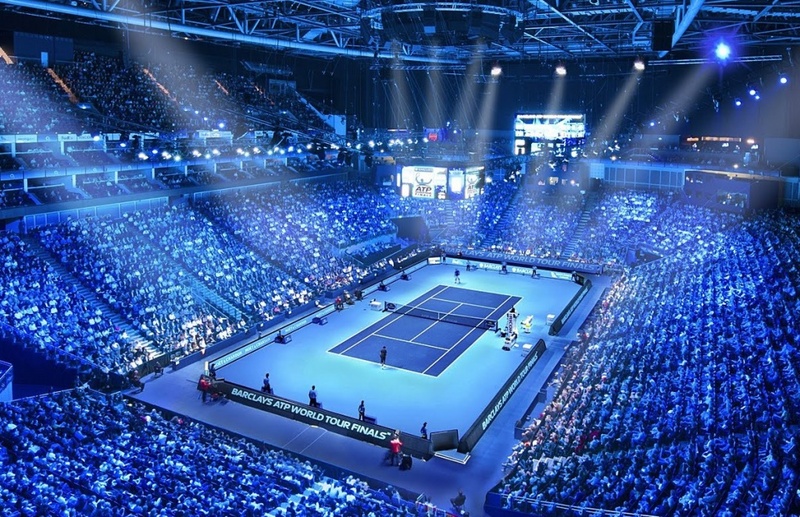 In total, the clay-court tournament’s prize fund – across all men’s and women’s tournaments – has increased by 8% from 2018, to a total of 42.7m euros (£36.9m). 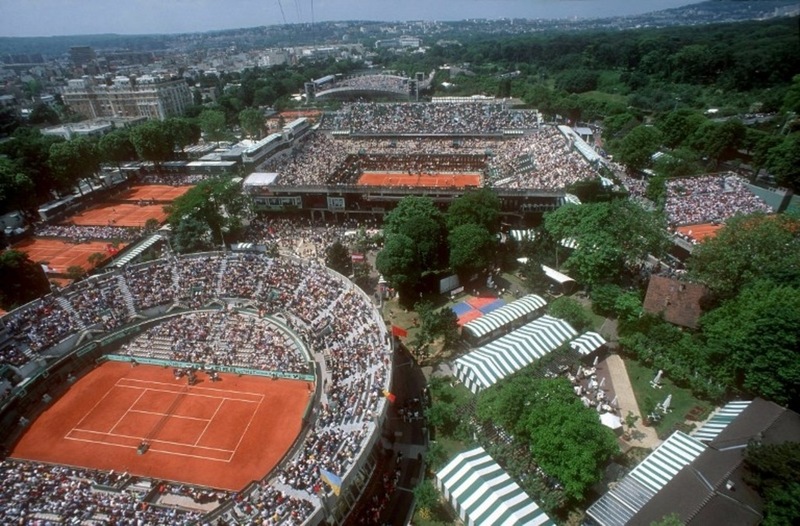 This year’s French Open starts at Roland Garros on 26 May, with the tournament concluding with the men’s singles final on 9 June. 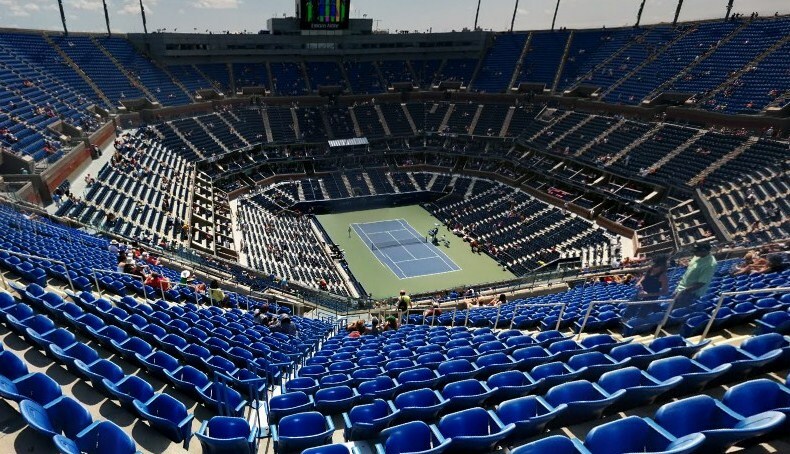 The US Open continues to be the highest-paying Grand Slam with a total of £40.2m last year, with £34m on offer at Wimbledon and £33.9m at this year’s Australian Open. View Thursday’s first-round schedule and check back later for preview notes. Alexander Zverev has a small dilemma. Not on the court, when he returns to action this week at the Miami Open presented by Itau, but with the newest addition to his family: a puppy that followed him home Tuesday upon a promotional visit to the Humane Society of Greater Miami. “Legally, in the United States, you’re not allowed to take a dog (out of the country) until it’s six months old and it’s two months old right now… I can’t stay in the U.S. for the next four months!” Zverev shared during his pre-tournament press conference. The World No. 3 already has a poodle named Lovik and hadn’t gone to the Humane Society with intentions of getting another dog, but shared that there was no question of adopting Pop once the terrier mix determined that Zverev was the chosen one. With another deep run this week in Miami, he can extend his time with his new puppy, should Pop need to go live temporarily with a family friend in the United States until receiving the necessary clearance to travel to Europe. Last year at this ATP Masters 1000 tennis tournament, Zverev came up short in the championship match against American John Isner, 6-7(4), 6-4, 6-4. He finished the season with four titles from six finals, highlighted by the season-ending Nitto ATP Finals trophy, and an ATP Tour-best 58 match wins. 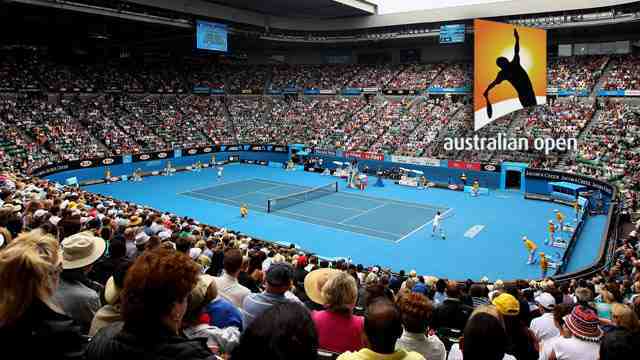 Thus far in 2019, he has reached the Round of 16 at the Australian Open (l. to Raonic) and the final at the Abierto Mexicano Telcel presentado por HSBC (l. to Kyrgios). He was unable to maintain his momentum from his Acapulco run after being sidelined with illness for nine days, and struggled in a second-round loss against Jan-Lennard Struff at the BNP Paribas Open. But Zverev is now fever-free and ready to compete. “I went on court without warm-up, without any preparation, just to play in a match and see if I have energy,” he said. 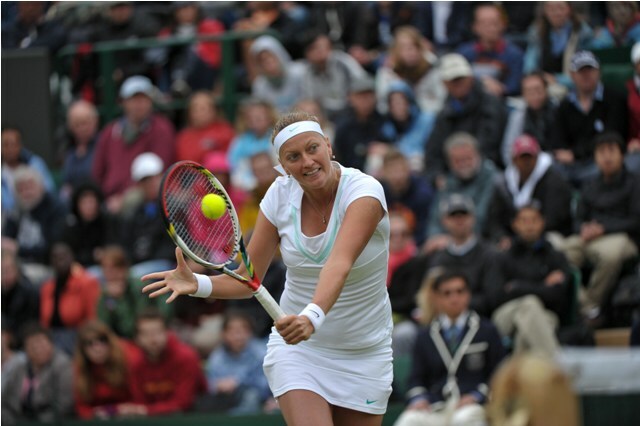 “For me, you can’t play a Masters 1000 like this…. Since making his Masters 1000 main draw debut here in 2015 as a qualifier, Zverev has compiled a 10-4 tournament record, including a victory over then-World No. 3 Stan Wawrinka two years ago en route to the quarter-finals. He reflected on the boost he received from the energetic crowds in Key Biscayne, and hoped that the special feeling would carry over to the Miami Open’s new home at the Hard Rock Stadium. Serbian Janko Tipsarevic, former World No. 8, earned his first tour-level win since August 2017 on Wednesday at the Miami Open presented by Itau. The 34-year-old swept American Bradley Klahn 6-3, 6-3 to advance at the ATP Masters 1000 event in South Florida. Tipsarevic, No. 453 in the ATP Rankings, is playing in his third tournament of the season after missing all of 2018 to recover from surgeries on both hamstring tendons. It’s the latest comeback for the Belgrade native, who has endured numerous maladies to his feet and knees. He missed 17 months, including all of the 2014 season, because of foot injuries, including two surgeries on his left foot to remove a benign tumor, before returning in April 2015. But after the 2015 US Open, Tipsarevic had to miss seven more months because of patellar tendonitis in his right knee. Good things, however, have happened to him in Miami, where he last played in 2013. 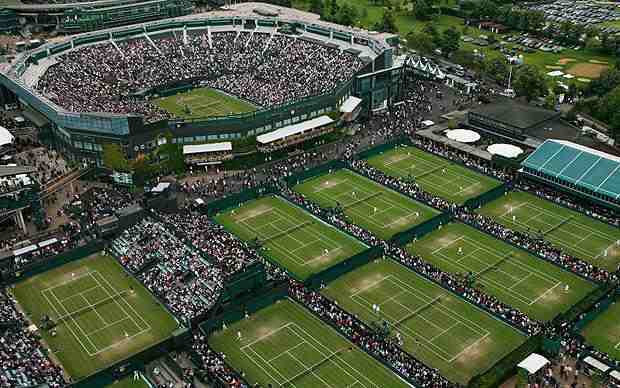 At the time, Tipsarevic was ranked No. 9 and made the fourth round (l. to Simon). His best showing in South Florida was a quarter-final finish in 2008 (l. to No. 4 Davydenko) and 2012 (l. to No. 4 Murray). After his 2012 run, he reached his career-high of No. 8. But now Tipsarevic is relying on a protected ranking of No. 88. He will face No. 22 seed Roberto Bautista Agut in the second round. Other winners on a rainy day at the Masters 1000 event included Poland’s Hubert Hurkacz, a quarter-finalist at the BNP Paribas Open in Indian Wells (l. to Federer). Hurkacz beat Italy’s Matteo Berrettini 6-4, 6-3 and will next meet Indian Wells champion Dominic Thiem. Argentines Federico Delbonis and Guido Andreozzi also advanced. Delbonis beat German Peter Gojowczyk 6-4, 6-2 and will next meet 32nd seed John Millman. Andreozzi squeaked past Mikhail Kukushkin of Kazakhstan 7-6(3), 6-4 and will play 15th seed Italian Fabio Fognini in the second round. Spain’s Roberto Carballes Baena setup a second-round meeting with Croatian Borna Coric, the 11th seed, by beating American Denis Kudla 6-1, 6-2. Elsewhere, Germany’s Mischa Zverev saved eight match points in the second set of his victory over Spanish wild card Nicola Kuhn, who retired at 2-2 in the deciding set.